Why Self Drive in Kyushu? Kyushu is a great place to self drive, the driving seat is on the right which is same as most commonwealth countries. Driving in Kyushu is like driving in Australia, roads are wide and spacious, no hassle at all. Not everywhere in Japan is good for self driving. I won’t recommend self driving in Tokyo! If you can handle Malaysia traffic, driving in Kyushu is simply too easy for you. If you are traveling with young children and grandparents, I strongly suggest to try self drive. It really help to save a lot as compared to join package tour! If you have not been to Japan, you can start with Kyushu as your first self drive. This place is great for it scenery and less crowded! How many days to spend in Kyushu? You can spend 5-8 days travel one whole round of Kyushu Island. The size of Kyushu Island is about same size of Taiwan Island. 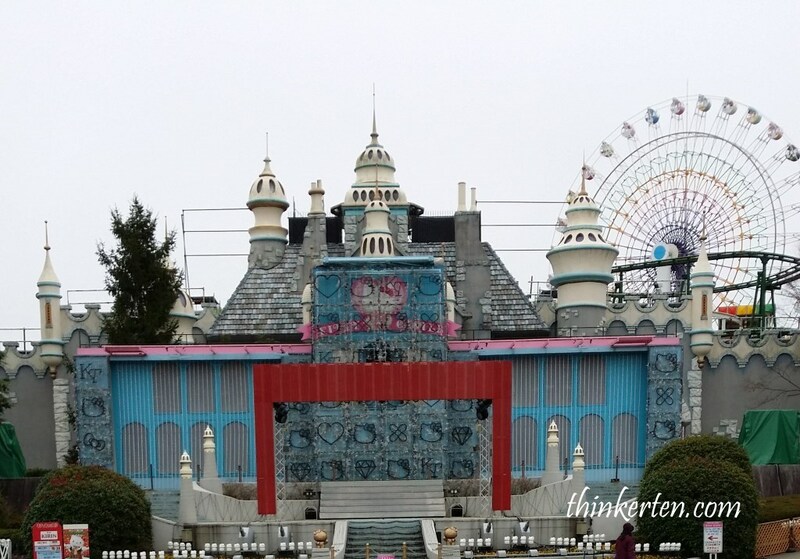 There are in total 2 Sario Theme park in Japan. One in the Honshu, main island near Tokyo called Puroland. 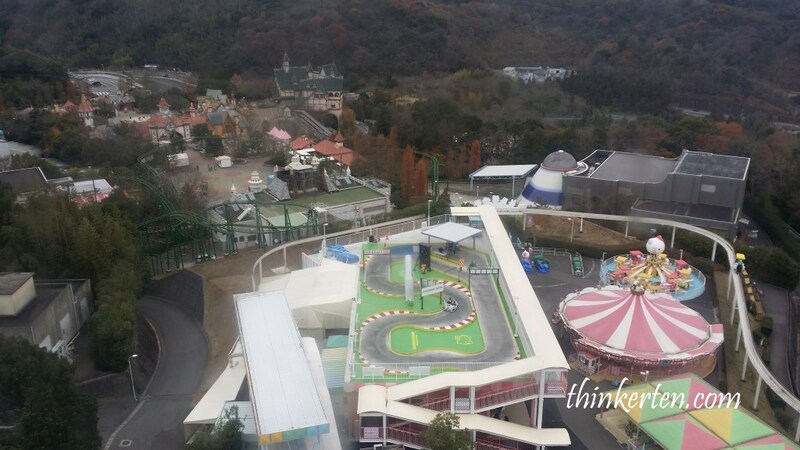 But we were about to explore the Kyushu Sanrio Theme park called Hormonyland. 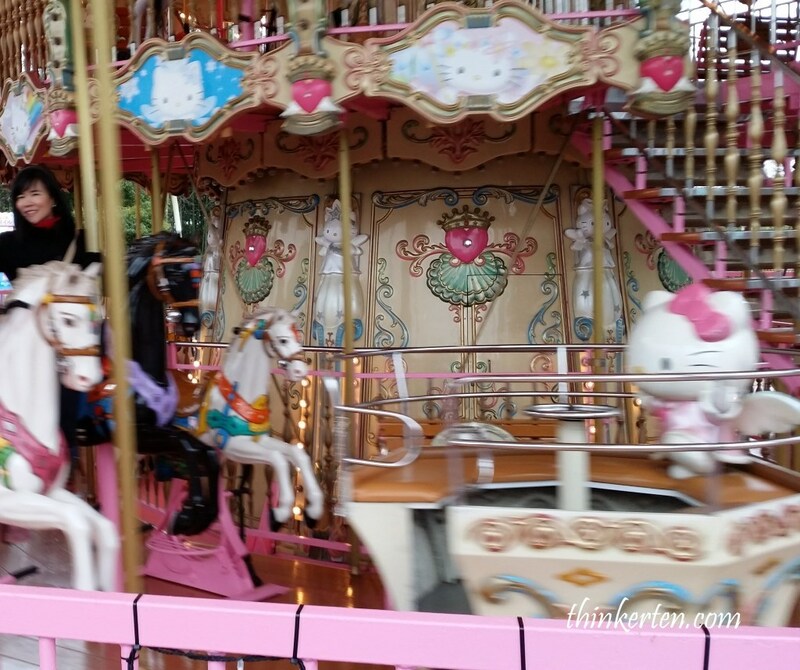 If you love Sanrio characters or you are traveling with young children, Hormonyland is a great theme park for your family. 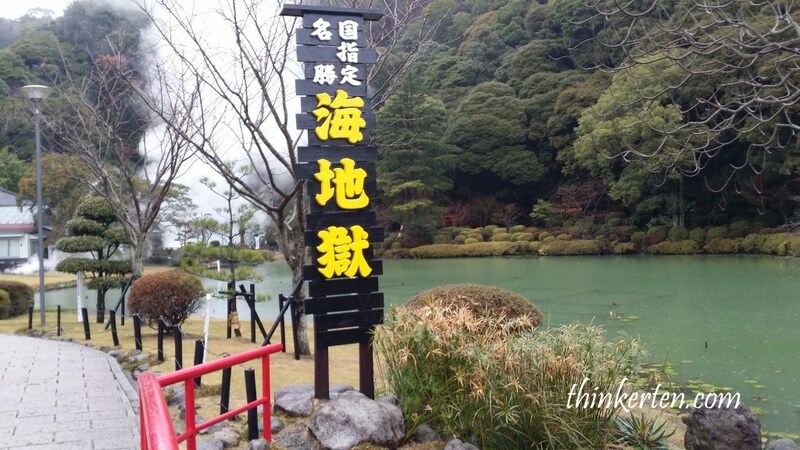 It is located in Oita Prefecture, just on our way to the next destination. 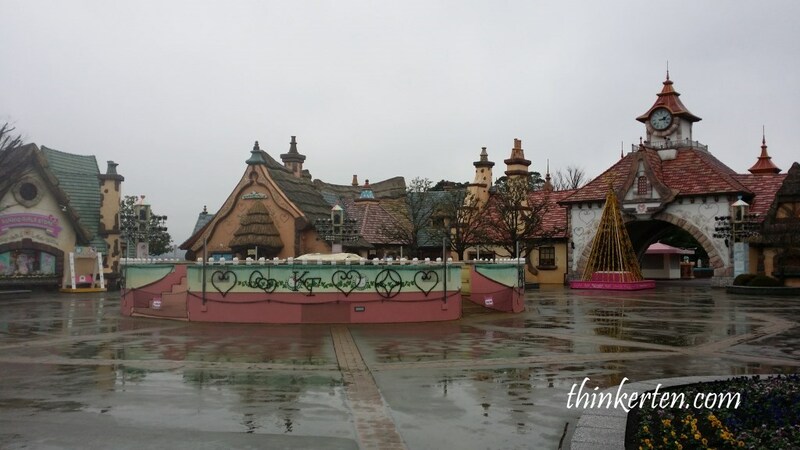 The Sanrio Hormonyland is big but not as congested as Tokyo Disneyland. Over here you can have some peace and the pace is slower. There is no queue for most of the ride. Sanrio Hormonyland is located on top of a hill. There are many steps for you to climb and photo opportunities. The theme park is more stunning at night when there is light up. I don’t know how many times, I tried the merry go round horses. It spin slowly with nice music so you won’t feel dizzy. 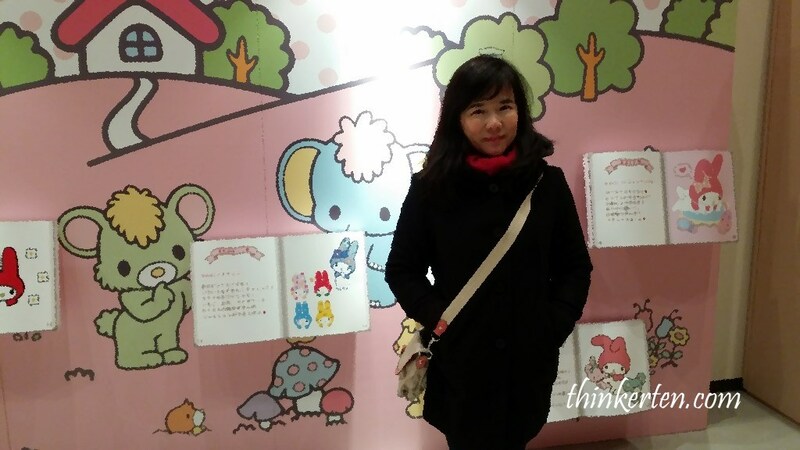 This cute place displaying most of “My Melody” characters, from children story books to bedroom stuff. Really adorable and you feel like staying here. There are many cute characters in Hormonyland theme park including Hello Kitty, Cinamoroll, My Melody and Little Twin Stars! My favorite are Little Twin Stars! There is parade in the afternoon and you can meet all these characters and take pictures with them. This place is great with young children and old people. Spacious and most rides are suitable from age 3 to 80 years old. 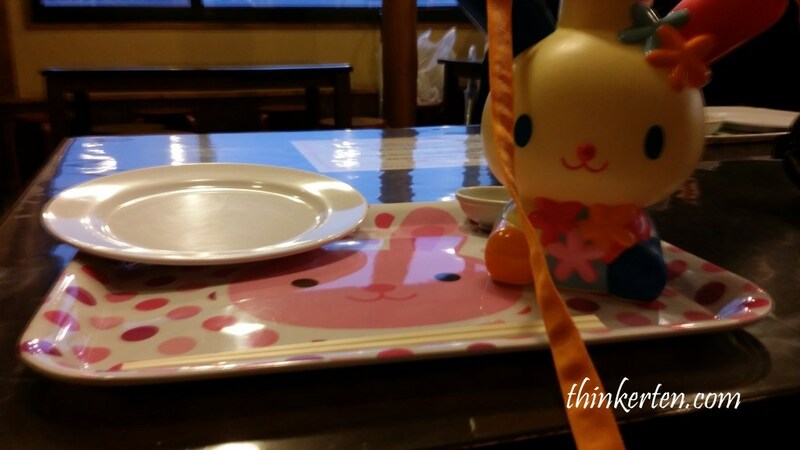 Of course Sanrio fans would love this place too. Entrance fee is 2900 yen for adult and children below 4 years old is free. Beppu is still in Oita Prefecture. 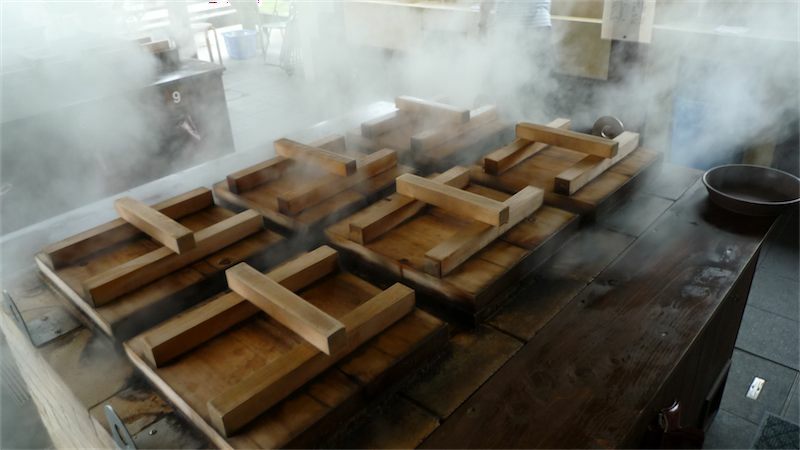 It is popular for the hot spring. 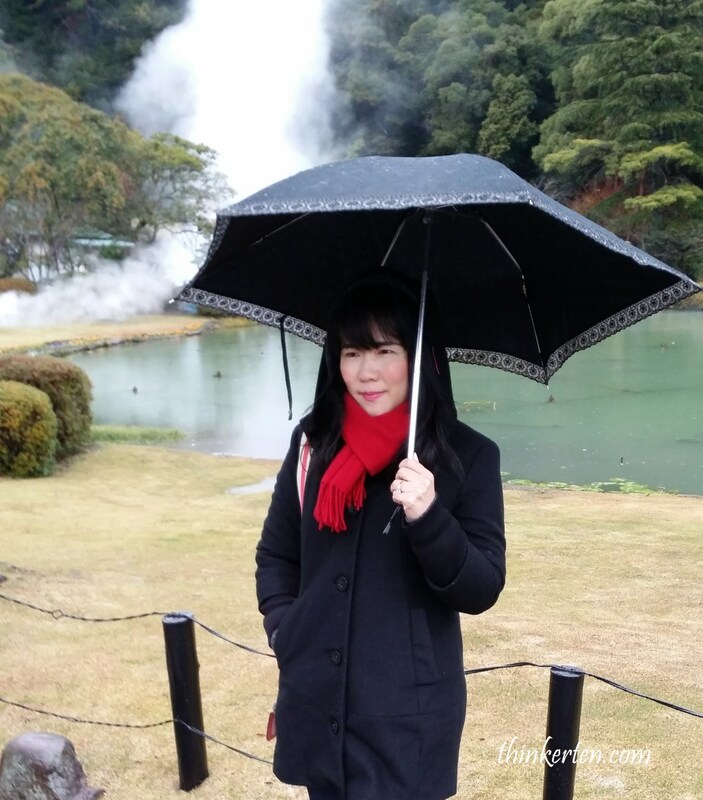 I know in Japan everywhere is famous for its hot spring. 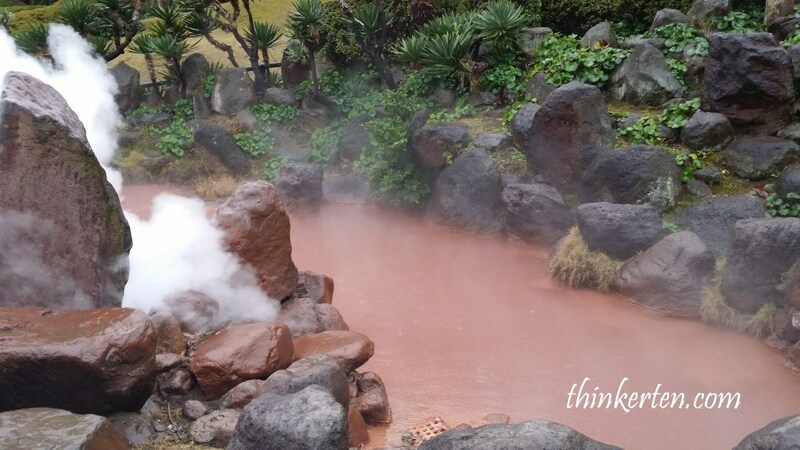 But in Beppu, it is famous for its Hell Hotspring. What is the different? You don’t soak yourself in these Hell Hot Spring, you would be cooked if you bath inside these Hell Hot spring. This is not the place for bathing but rather for viewing only. There are in total 7 hells with different theme, we choose few biggest and unique one to visit. 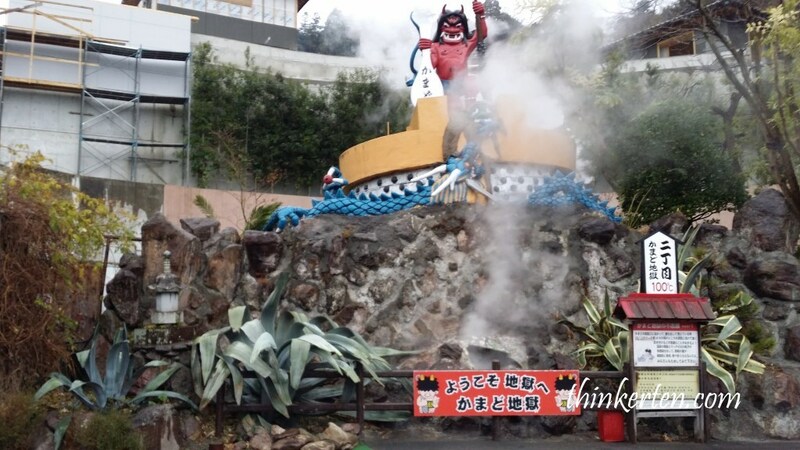 A red demon with the cooking pot is welcoming you once you entered. 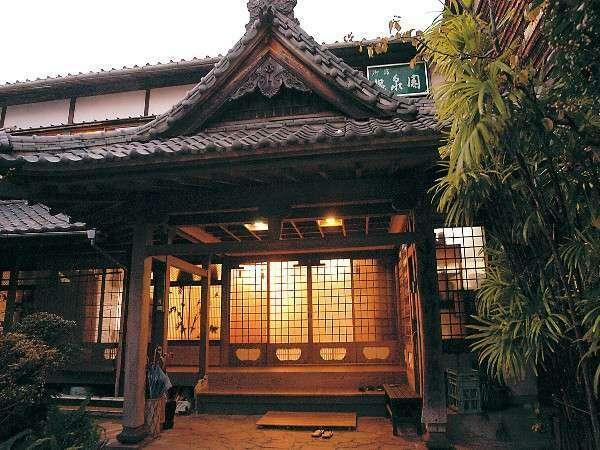 This is the landmark of Kamado Jigoku. Kamado mean a kind of traditional cooking pot. Jigoku mean hell. 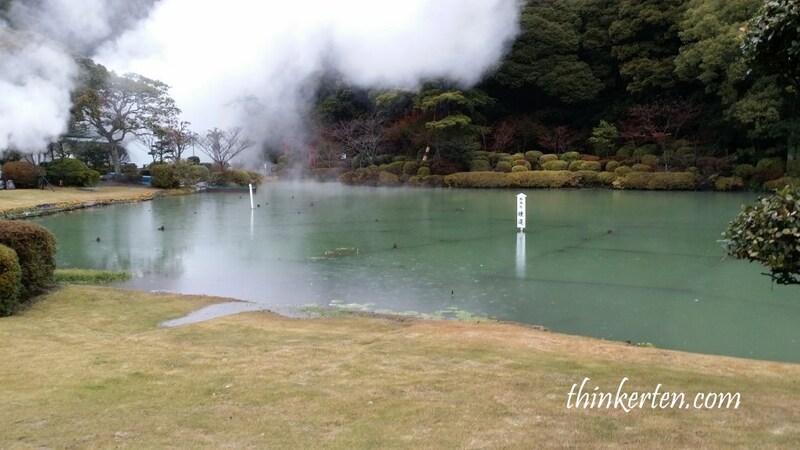 You can go near the pond and inhale the hot steam and look at the interesting color of the pond. The color in the Kamado Jigoku is cobalt blue. People were queuing to walk to the pond to inhale the hot steam, pretty funny right? 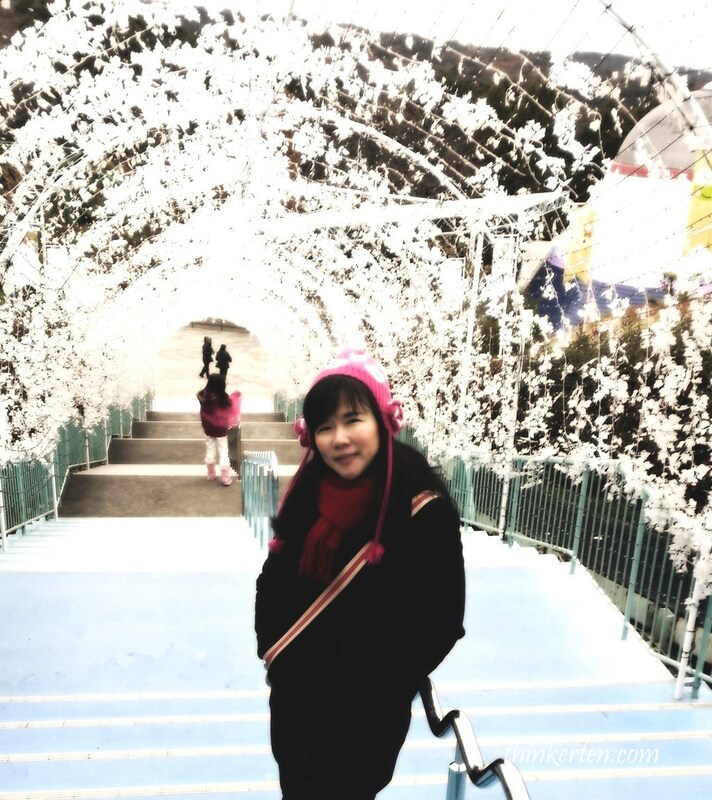 The Hell is well maintain and the hot spring is very big and and the color is very pretty. The water degree is 95 Celsius so be extra careful, if you accidentally fell you will be cooked alive. There also many snacks sold here which was cooked by the 95 degree hot spring, Boil eggs are one of the them, I don’t know why, it tasted very delicious. The Sea Hell is one of the must visit, it is the biggest hell and before you enter there are steam everywhere. There are few big ponds around the Sea Hell which make this place a bigger place to walk around as compared to Kamado Jigoku. You are like walking in the clouds, too many steam coming out from the sea hell which is over 98 C. Don’t be fool by it beauty, the water can get as deep as 200 meter and it is boiling hot. Don’t get too near. There is also a greenhouse in the Sea Hell which is quite beautiful. There is another orange color Sea Hell pool, I prefer to cobalt blue Sea Hell. I think going to 2 hells is more than enough for me. 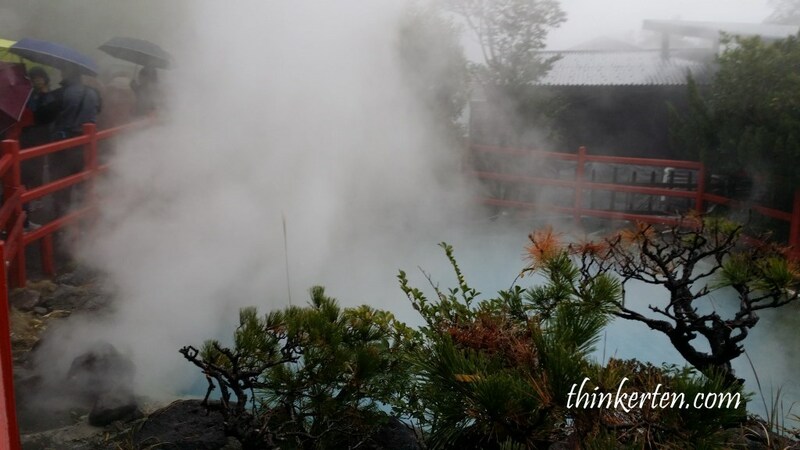 Choose Sea Hell as it is very spacious to walk around and more than one hot spring to view and with different colors. 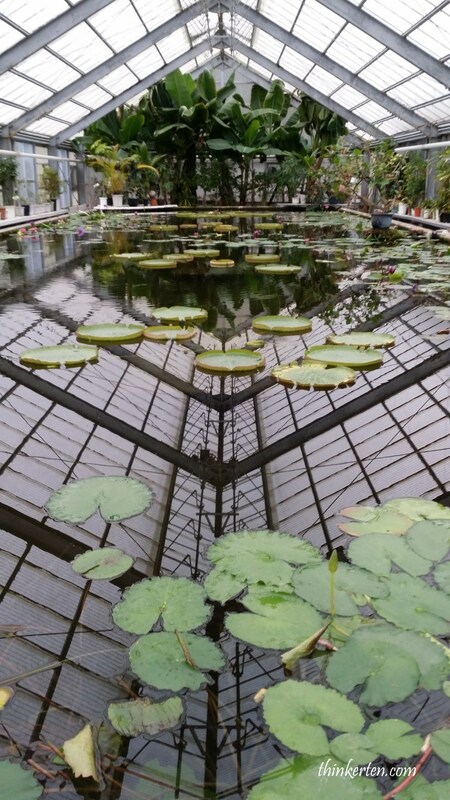 Beside the the hot boiling pool, there are also many ponds and a greenhouse. Outside the Sea Hell, there is the famous pudding shops one must try. Umi Jigoku/ Sea Hell – biggest and color is cobalt blue,most recommeded! 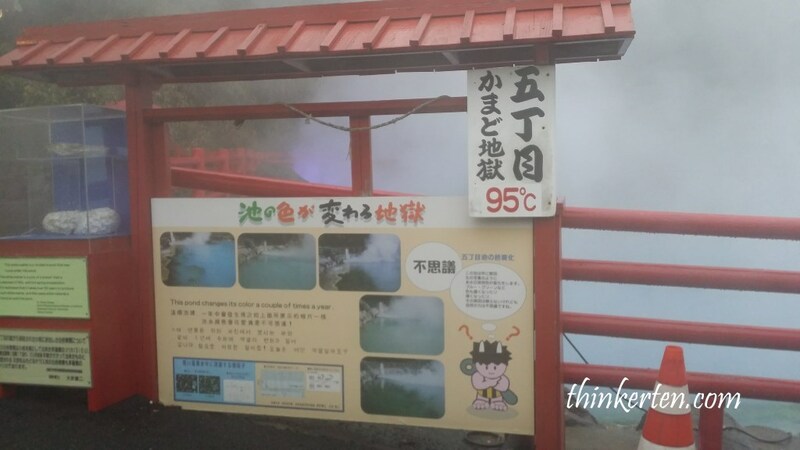 If you like the hot spring so much and wanted to explore all the 7 hells, there is a pass sold for 2000 yen for a day to enter the 7 hells. Personally I think it would be too much to look at 7 hells in a day. Why torture yourself to go the 7 hells in a day? This restaurant is really interesting, first you buy your order from the vending machine, get the ticket and get your order then you steam your food from the hot spring steam. You have to do it yourself, steam your own order and after eating, you have to wash your own plates. We ordered seafood basket, if you don’t like seafood, there are beef or pork basket. Try seafood as it offer best values! 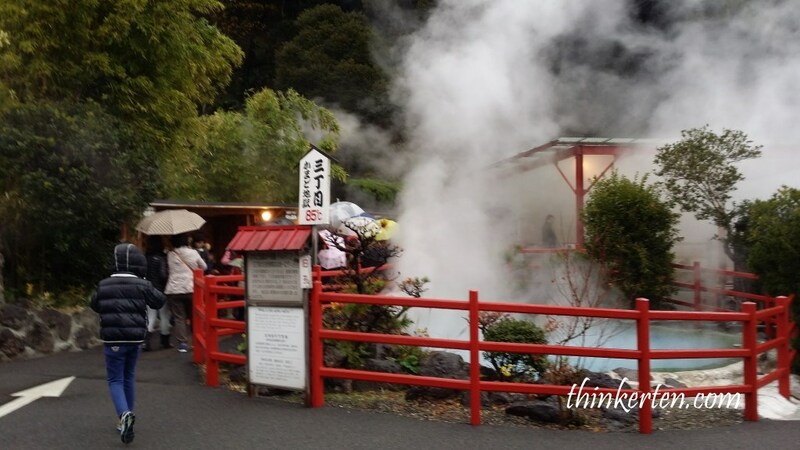 I think it is a great experience to taste the food cooked from the hot spring steam. 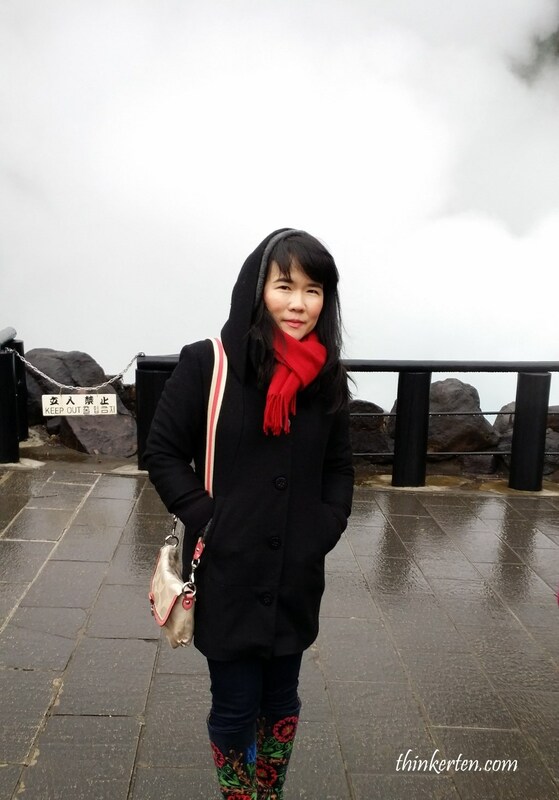 We stayed in Onsenkaku in Beppu. This is more like a house rather than a hotel. The owner also stayed in this place. We stayed in the second floor, with huge luggage, it is kind of hard to carry to the second floor as there is no lift since it is a typical Japanese house. Frankly I prefer to stay in hotel rather than Ryokan Inn because I don’t prefer to sit on the tatami floor and sleep on the Futon bed on the tatami floor. Anyway, it was different kind of experience so you can still try it out once. 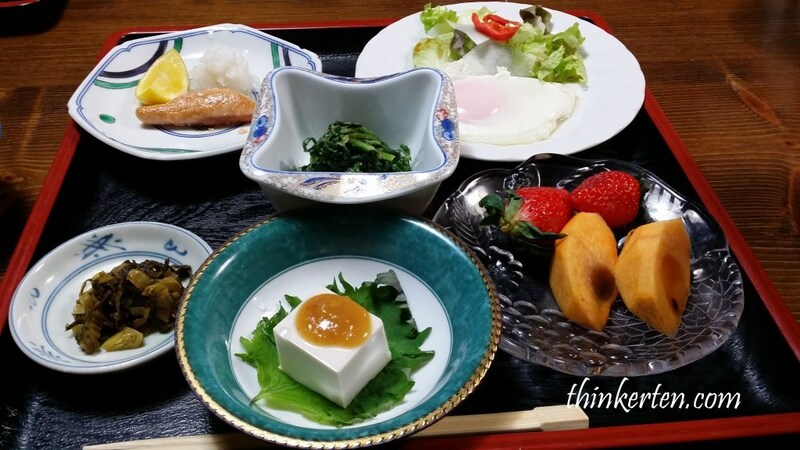 This is the area for breakfast, a home setting Ryokan. 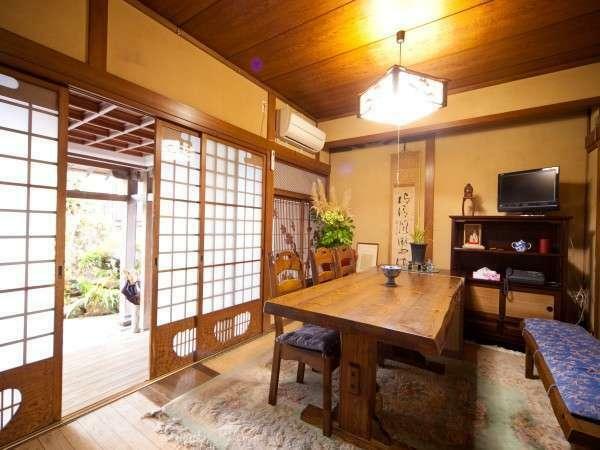 I feel less privacy but you can have a taste of how Japanese house look like and you may like the way they decorated their home. You can play with their sliding door, paper windows, tatami, futon bed and observe their flower arrangement. Breakfast prepared by the owner in the following morning. Umi Jigoku/ Sea Hell – biggest and color is cobalt blue, most recommeded!